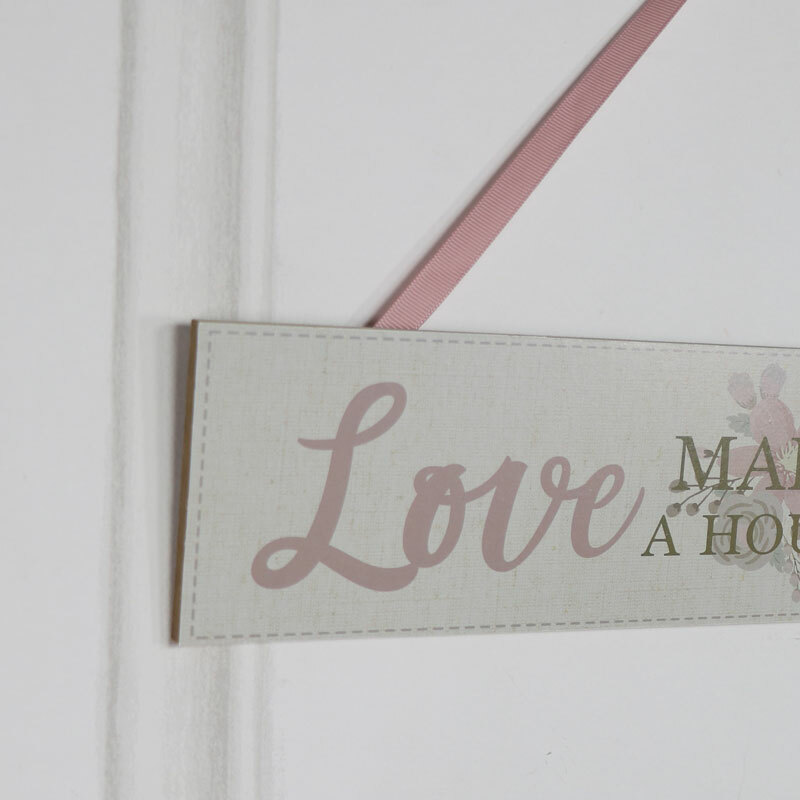 Wooden Wall Plaque "Love Makes a House a Home"
< Wooden Wall Plaque "Love Makes a House a Home"
Plaques and signs are one of the best ways to express yourself and your style. This plaque will add a beautiful vintage feel to your home with the sweetest sentiment. Decorated with the words "Love Makes a House a Home" against a cream background with the picture of a pretty pink flower placed in the centre. This would look perfect hung in the living room or hallway. Decorated with the words "Love Makes a House a Home" against a cream background with the picture of a pretty pink flower placed in the centre. 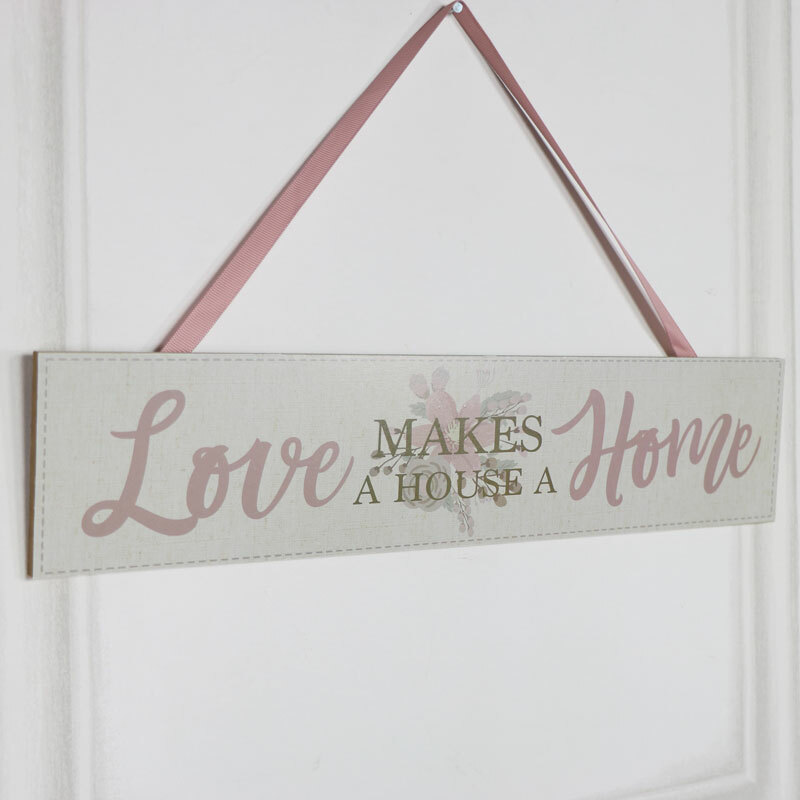 Made from wood with printed front and easily wall mounted from a pretty pink ribbon.